Fun, Family Friendly, Kayak, Canoe and SUP Tours. 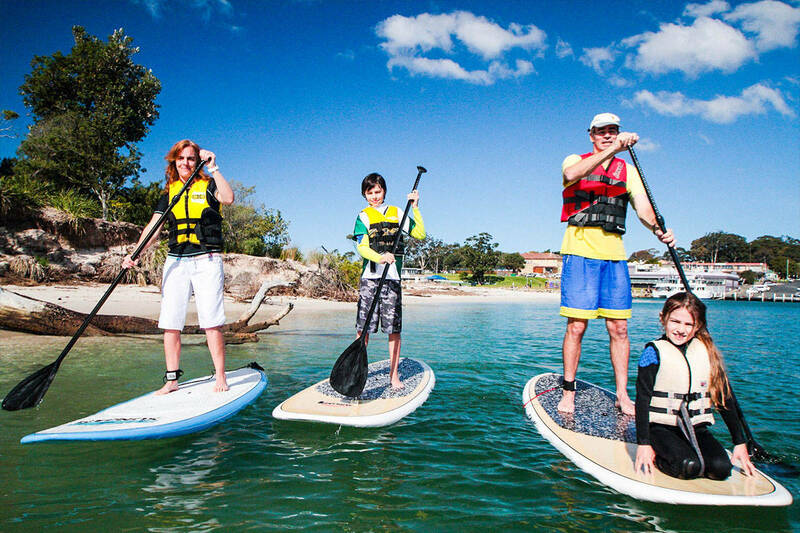 At Jervis Bay Wild we feel privileged to be able to offer you kayaks, canoes and stand up paddle board hire. 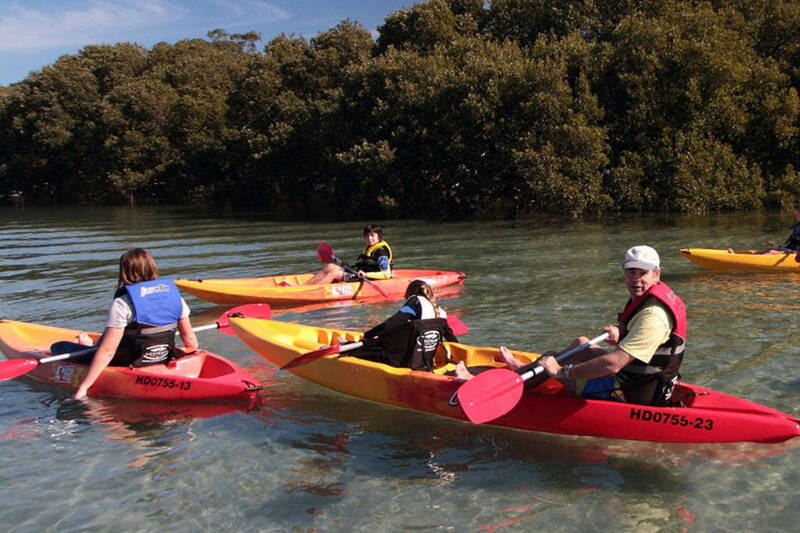 Enjoy a paddle up the sheltered waters of Currambene Creek, where you might meet our local giant sting rays, or catch a glimpse of a kangaroo. 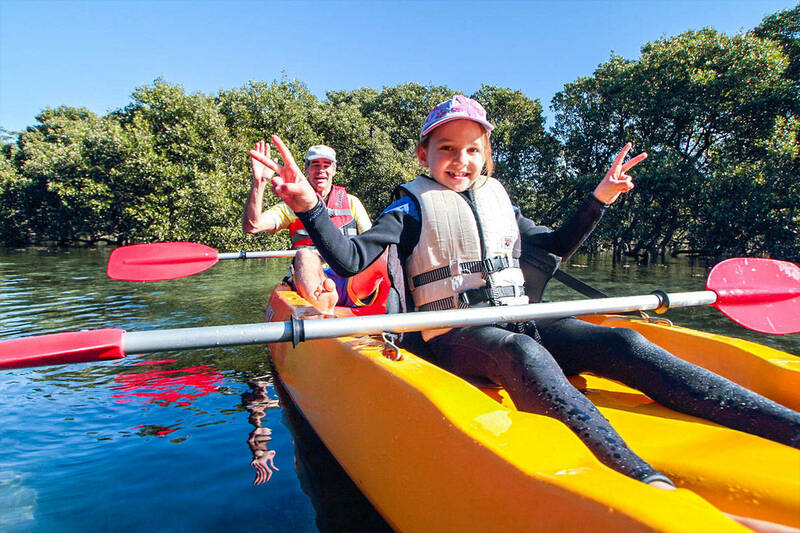 Regardless of your experience, from beginners to advanced, hiring a kayak, canoe or SUP is fun for everyone. Would you like a guided tour? Find out more about our special guided tour rates with an experienced and professional guide. Safe and fun for everyone. December to January, Monday to Sunday including public holidays, from 8am to 3pm. February to November, Saturday and Sunday including public holidays, from 9am to 3pm. Camera, bottled water, protective clothing, footwear, swimwear, towel, hat, sunglasses and sunscreen. Meet us at our cruise terminal / Portside, west of Huskisson public wharf, Huskisson NSW 2540. Look for the large white umbrellas. Absolute Waterfront.